One question most people find it difficult to answer is whether social media is a blessing or a curse? With the help of various social media platforms people not only get to get connected with masses but they also get to well-updated on the happenings around the globe. But then again, every coin has two sides and recently, the Indian all-rounder Suresh Raina got the testimony of the same after reports of his death spread like wildfire. 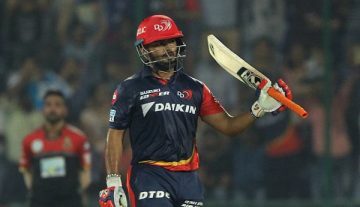 But on Monday, a turbulent Raina rubbished and slammed the fake news, which stated that he was dead after a road accident. Posts and videos of the fake news have been all over the social media, mentioning that the Uttar Pradesh star recently passed away following a road accident. Raina assured his millions of followers on Twitter that he was all right before slamming the reports. He revealed that the reports have left his family and friends disturbed before confirming that the Youtube channels showing the news have been reported. However, Raina’s international career has taken a halt in the past couple of years. The southpaw was an integral part of India’s limited-overs teams not very long ago but things have changed in the last year or so. He made his much-anticipated return to the national team during the T20I series in South Africa last year but failed to deliver after a promising start. He had won the ‘Man Of the Match’ award in the final game of the series against the Proteas and had enjoyed some good outings in the victorious Nidahas Trophy campaign as well. In the T20 series against Ireland, he scored 69 in the second game in Dublin before failing miserably in England. Raina was the part of all the three ODIs against England but failed to grab the chance. He was dropped after the series and has not received a call yet.